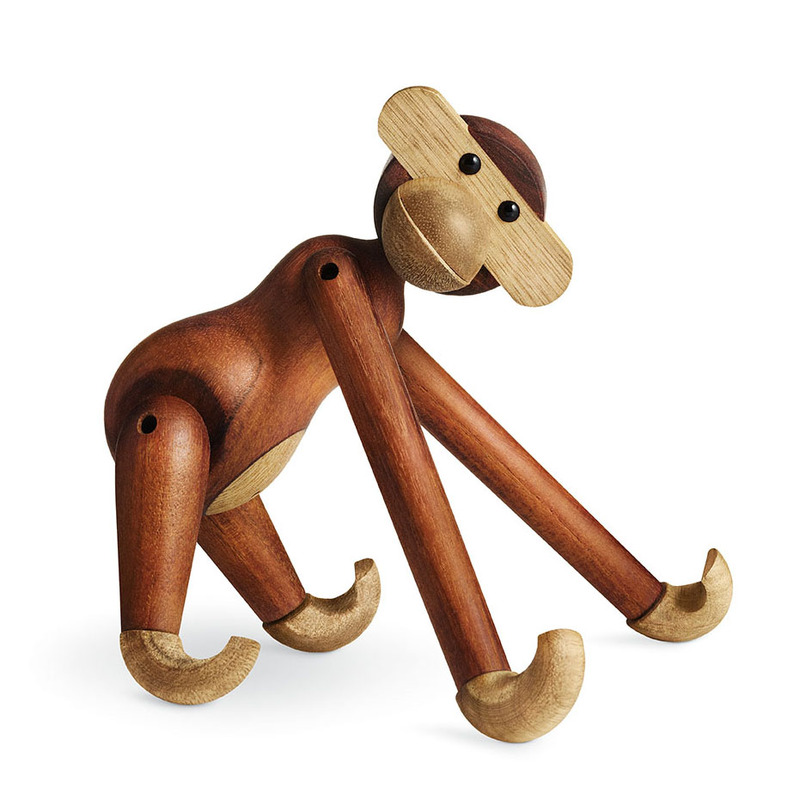 Kay Bojesen Monkey by Rosendahl. 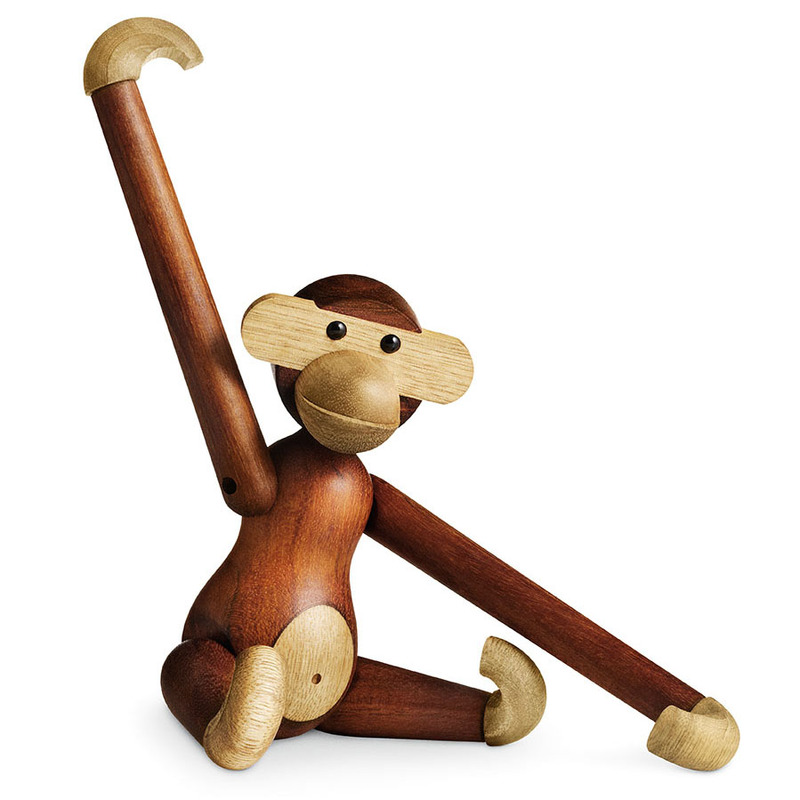 An exquisite wooden monkey for those who appreciate quality design! 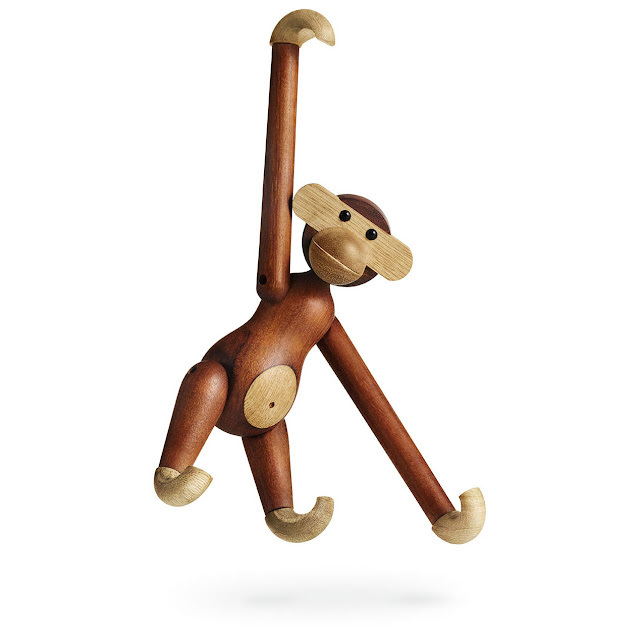 The classic Kay Bojesen monkey stands out because of its timeless design and beautiful construction. The Bojesen monkey was designed by Danish designer Kay Bojesen in the early 1950s. 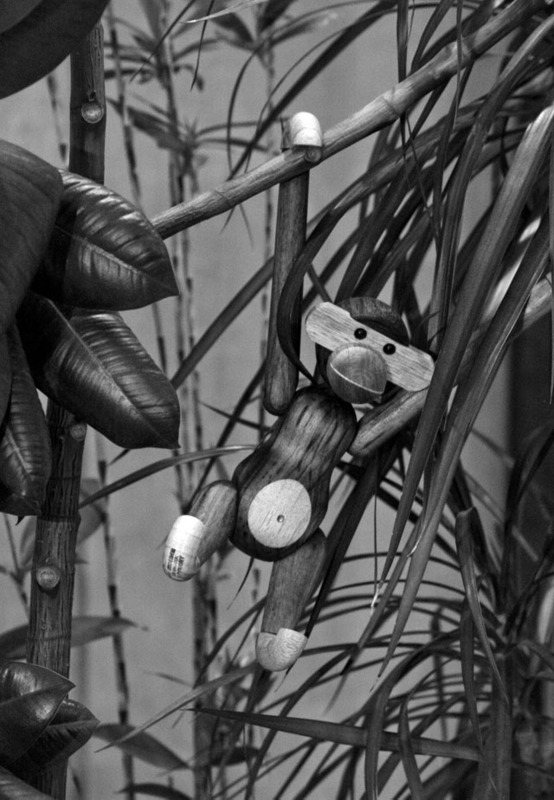 The monkey with the prankster's look and the light colored belly, has transformed kids' rooms into jungles and sparked dreams of far-away places since 1951. 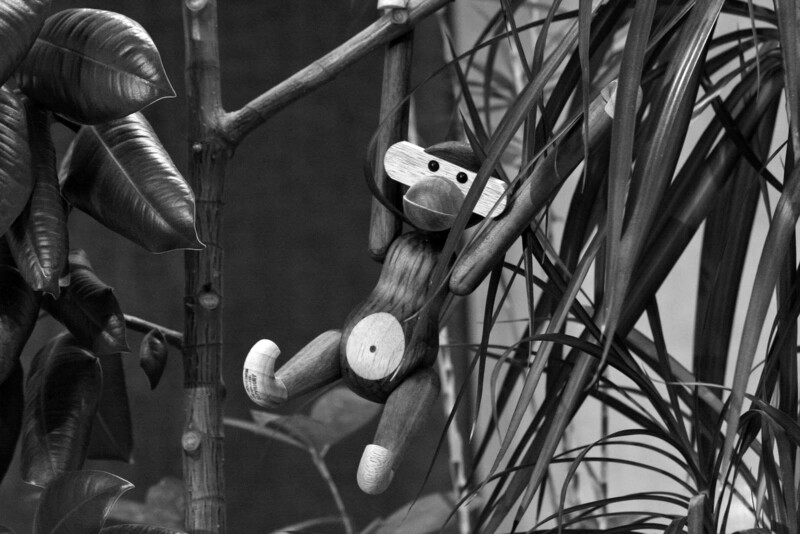 On Danish television it has a permanent place as a mascot in wildlife programs, and as a prize in quiz shows. Buy it from Stardust. APINA-PUU small wooden Kay Bojesen monkey from Kay Bojesen - Kay Bojesen (1886–1958) was an apprentice of Georg Jensen, training as a silversmith in 1910. After a few years in Germany and France, he began working as a silversmith in Copenhagen. 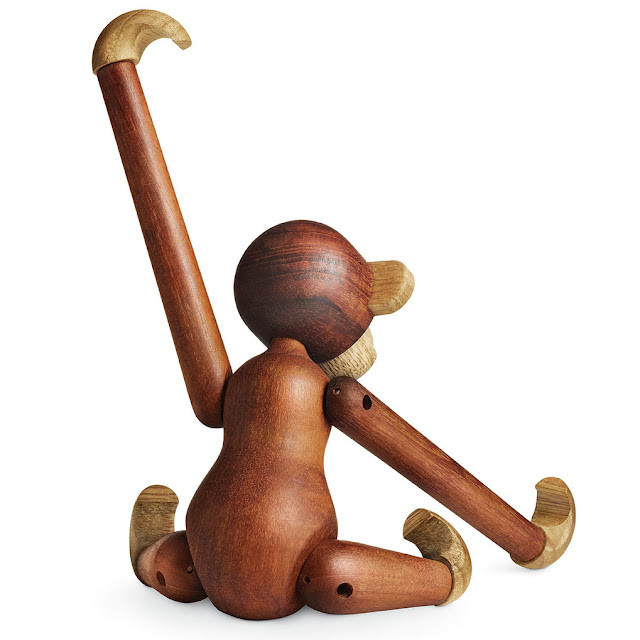 In the 1930s he realised there was something particularly lively about wood, and his wooden figures have made him one of the great pioneers of Danish art manufacture. Happily, Kay Bojesen was far too curious to restrict himself to the work of refining metals, and he began experimenting with other materials. In the course of his exploration, he discovered wood as a material with very special possibilities for industrial treatment and styling. This discovery led to the classic guardsmen and a whole zoological garden taking shape between his hands.